In the 1960s, the sale of clear plastic ant farms was a popular gift for kids. 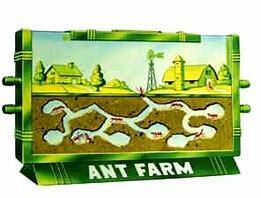 The ant farms came complete with ants, a packet of sand and a clear plastic rectangular container that was placed on its own stand, so the ant farm could be viewed in full profile as it stood on its longest border. This appealed to kids since they could see how the ant colony worked, the layers of tunnels and how they thrived. The ant colony example is an apt metaphor for the Trump administration. Despite its gross mismanagement and emerging illegalities, this administration lets average citizens see how the corporate class and its enablers work, for the most part, in broad daylight. The preferential legislation, revocation of regulations that threaten corporate profits, crony hiring practices and blatant discrimination against critics of the administration are all visible. And just like the ant colony example, we can see how regulations are repealed and relaxed so corporations and their top executives can make the largest salaries possible. A good example of the ant colony analogy is the recent proposal by Senators Bernie Sanders (I-VT) and Chuck Schumer (D-NY) to revoke stock buyback laws unless corporations significantly change their CEO compensation, hiring and business practices. Under the current laws, corporations are prepared to spend $1.2 trillion in stock buybacks, dividends and merger and acquisition activities in 2019. According to CNBC, the buybacks are happening because “companies find themselves awash in cash, thanks primarily to years of stashing away profits plus the benefits of a $1.5 trillion tax break this year that slashed corporate rates and encouraged firms to bring back money idling overseas. Companies have nearly $2.5 trillion in cash parked domestically, according to the Federal Reserve, and as much as $3.5 trillion overseas, various estimates have shown.” But CNBC should know that is not the entire story. All of this money can be used for stock buybacks, much of it in programs that enrich CEOs (most of whom are compensated based on their stock prices), while they disadvantage the company’s workers and the public. “Most recently, over the decade of 2007 to 2016, stock repurchases by 461 S&P 500 companies totaled $4 trillion, equal to 54% of profits; in addition, these companies declared $2.9 trillion in dividends, which came to 39% of profits. Indeed, in the name of ‘maximizing shareholder value,’ corporate executives are often willing to take on corporate debt, terminate employees, reduce wages, sell assets, and diminish cash reserves to do buybacks,” according to an article by William Lazonick in an article from The American Prospect (June 22, 2018). He has a point. 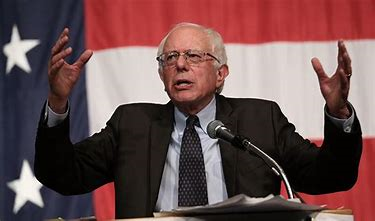 When announcing their proposal, Schumer and Sanders cited practices that singled out Walmart, Harley Davidson and Wells Fargo who fired thousands of workers as they engaged in large buyback programs. But outside of the ant colony, the Council of Institutional Investors (CII), which represents the nation’s largest pension funds and institutional investors, says that revisiting stock buybacks is long overdue. The reason: “The evidence that executives are taking advantage of bumps in the company’s stock price after a buyback to cash out is unsettling. We don’t want executive incentives to skew decisions about capital allocation that are not in the company’s long-term interest. Executives should not be timing buybacks to benefit themselves at the expense of the company’s shareholders…. The evidence suggests opportunism could be playing a role,” according to CII Deputy Director Amy Borrus (Pensions & Investments, June 25, 2018). In practice, this means corporate CEOs are using the stock buyback program for short-term individual enrichment, selling into rising markets caused by buybacks, taking advantage of the opaqueness on how companies make decisions to buy back their stock, and focusing on short-term versus long-term company performance. In one 2018 study conducted by SEC Securities and Exchange Commissioner Robert Jackson Jr., of 385 buybacks over the past 15 months, companies benefitted from “a jump in stock price of more than 2.5% in the 30 days after the buyback announcements. In half of the buybacks studied, at least one executive sold shares in the month following the buyback announcement. They also found twice as many companies with insiders selling stock in the eight days after a buyback announcement compared with an ordinary day,” Jackson said. This is a huge amount of cash that has flowed from the U.S. Treasury into corporate America. But the buybacks, combined with the Trump tax reform that primarily benefitted the wealthiest Americans, has allowed Democrats to seek the upper hand on the critical issues of wealth disparity and regressive taxes for the middle class. Stocks buybacks are esoteric and often outside the view of most 401(k) participants. Still, they are a powerful tool for corporate CEOs, hedge funds and private equity firms to redirect cash flows into their own pockets at the expense of business reinvestment. They also have a controversial history, so controversial that only about 37 years ago, they were considered illegal. Until 1982, share buybacks were illegal. At that time, the SEC classified share buybacks as market manipulation based on insider trading. Stock buybacks are also anti-democratic and have a large social cost. In this article, hedge fund manager Paul Tudor Jones said stock buybacks have been “a mania” and that there will be large social costs if this practice is not curtailed or taxed. 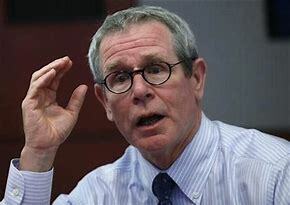 “I’m really nervous about what the ultimate social consequences are in this country” if stock buybacks continue at there present pace, he added. And how did top corporate management use the proceeds from the stock buybacks? They mainly converted it into larger compensation packages for themselves. A July 2017 study by the Economic Policy Institute found that CEO compensation has grown much faster than corporate profits. This means that top CEOs are being overcompensated as their corporations’ grow at a slower pace. This blatant diversion of stock into an executive compensation program that benefits top executives, hedge and private equity funds helps fuel wage stagnation and the growing wealth gap. When that is combined with the huge gap between CEO compensation and the wages of average workers, it marks the continued ascent of corporations and their political power over average citizens. “As a result, executives then did not have the incentive as CEOs do today, to pay themselves through stock buybacks from this new source of cash flows. With stock buybacks becoming accessible again, company CEOs can ask “if we grow the business, we grow the business and, if not, who cares because we are still being highly compensated because we bought our own stock back?” according to Doug Cliggott, a lecturer in economics at the University of Massachusetts’ Political Economy Research Institute (PERI). With all this data, the proposal to limit stock buybacks by Senators Sanders and Schumer is a small step towards reversing the corporate takeover of American politics. The question is when will most Americans see how this esoteric financial manipulation and financial engineering are curtailing their own prosperity.